The numerous jewelry finds from the Penn excavations at Beth Shean range from spectacular gold pieces to more ordinary glass items. Jewelry in Late Antiquity was used, much as it is today, for personal adornment and decoration. Accordingly, jewelry was found throughout Beth Shean's domestic spaces, burial area, and even in liturgical structures. 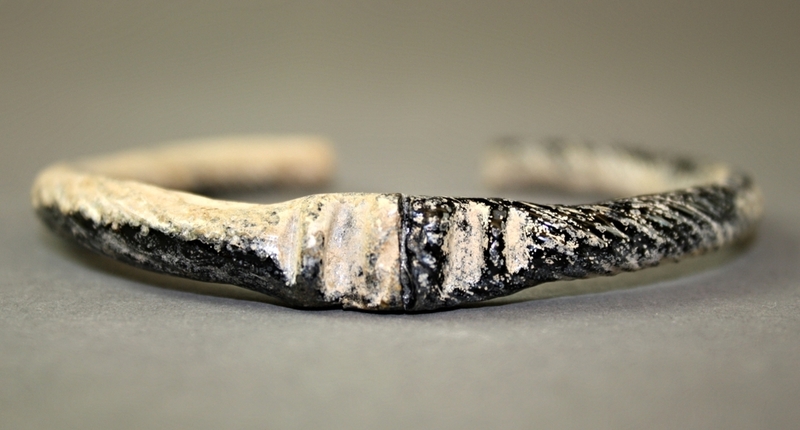 The most common jewelry finds at Beth Shean were glass beads and bracelets, which were undoubtedly cheaper and more accessible than metal jewelry. Iron and bronze were frequently used for rings, bracelets, pendants, and sometimes earrings. 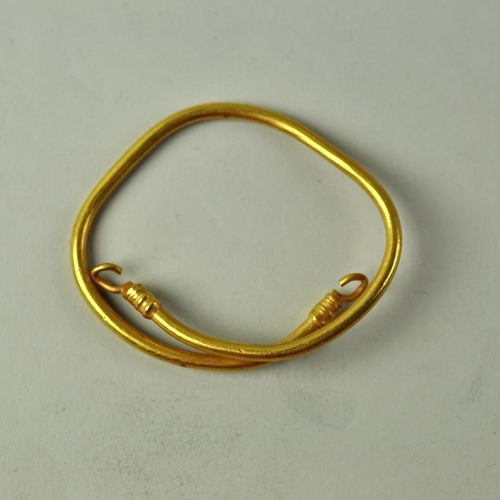 Gold jewelry was reserved for the rich, as it was highly valuable. Indeed, the most spectacular piece of jewelry from Beth Shean, the gold necklace, was discovered with other valuables in a hoard in the Monastery of Lady Mary. The majority of Late Antique jewelry items come from the tombs of the Northern Cemetery. Jewelry was a common grave good for women in the Roman and Byzantine periods, as the deceased individual was dressed in their finest clothing and adorned with their most luxurious accessories. Tomb 295 of the Northern Cemetery offers a particularly exceptional example of the use of jewelry as a grave good: one sarcophagus alone contained several different pairs of gold earrings, gold foil fragments in the shape of laurel leaves, and the gold filigree earring featured in this exhibit. While all jewelry function as a mean of adornment, certain items could be used for religious purposes as well. Jewelry featuring Christian iconography, including bronze cross pendant and the bronze inscribed ring featured in this exhibit, were found in burial contexts and served to mark their wearer as a Christian. Additionally, jewelry could assume a magical function in the form of amulets, which were intended to protect their wearer from illness and misfortune. Beads, bracelets, and ivory pendants from Tomb 295. Gold earrings and foil from Tomb 295. Objects of personal adornment from various tombs excavated in 1922. Finds, including beads, pendants and bracelets, from the burial in Room K of the Monastery.